Managing Director and Chief Executive Officer of Revelinks Travels and Tourism Company, Samira Farida Samuel has hinted that, her company was developed to promote Nigeria through tourism. Revelinks Travels is headquartered in Barnawa, Kaduna South Local Government Area of Kaduna State, Northwest Nigeria with affiliation with several airlines including Ethiopian airlines among others. Speaking at a press conference in Kaduna, Farida said, her company believed it can promote tourism especially in the northern part of the country irrespective of what is happening around. “We want to let the people know that reality in the media is different from the reality on ground. We have artists from Lagos and some of them are here for the first time and they have come and see things for themselves and now know that we are not at battle front as many outside the region thought. “This Wednesday, there is a big event – Cruise Series. We affiliate with airlines. Ethiopia airlines is already given us the opportunity to showcase tourism from this part of the country. “Though it is expensive because you have to consider a lot of things including security, money, accommodation and all that. We are doing this to change the narratives in the media and that is our objective. “Our August visitors have been conducted round the tourism sites in the state; we have been to Gamji Gate, Fifth Chuker and all that. “We are promoting international tourism. We are beyond just ticketing and other every day services other travels agencies are offering. This is why we need the media, artists and everyone to support us to have a better country we can call our own”, she urged. 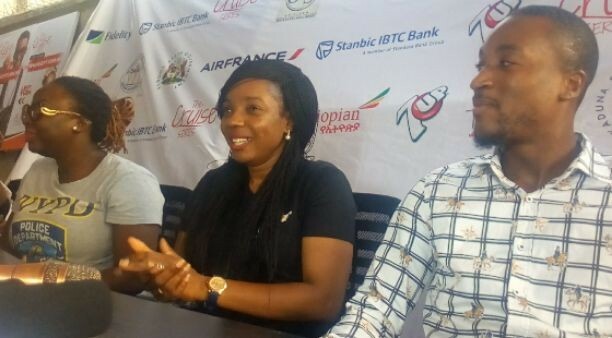 Also speaking, a Script Writer, Movie Director and leading Nigerian Influencer, Lydia Idakula Shobogun harped on putting across positive reports to showcase Nigeria as the land of treasure. According to Shobogun, “art expression should be placed above politics. When we put our stories into television series, it tells the world who we are and what we do in good light. It is about change. What we need is paradigm shift. “Our problem is not with the leaders as many thought but the citizens because leaders are drawn from within. “The cruise series ‘Shift let me faint’, is a sitirical television series that cut across our endeavours as a people. We need positive stories about us now more than ever and everyone of us should use what we have to make positive impact on our dear country, Nigeria. Other screen faces at the event in Kaduna include Akah, Beverly Naya among others.